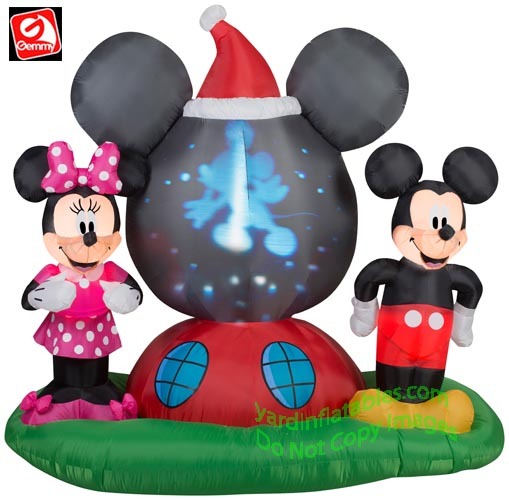 Panoramic Projection Mickey Mouse Clubhouse With Mickey & Minnie! 6 1/4' Wide x 6' Tall x 4' Deep! NEW TECHNOLOGY FOR 2018! There is a projector inside the inflatable that cycles different Disney Mickey Mouse pictures onto the Clubhouse!